MediaElement.js is a HTML5 audio and video player that is built with pure HTML and CSS. 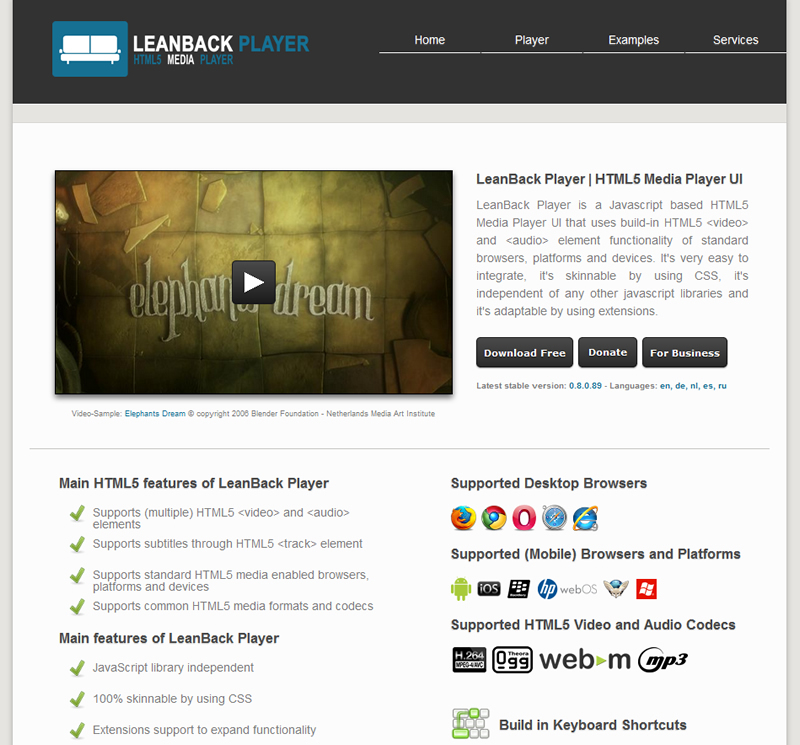 For older browsers that don’t support HTML5, this player offers a custom Flash player as well as the popular Java Silverlight player, which mimic the MediaElement API. For WordPress, Drupal, Joomla, jQuery, BlogEngine.NET, ruby gem, and plone folk, it’s even easier for you to implement on your site thanks to plugins that are offered. MediaElement.js also gives you control over what buttons to display on the control bar. 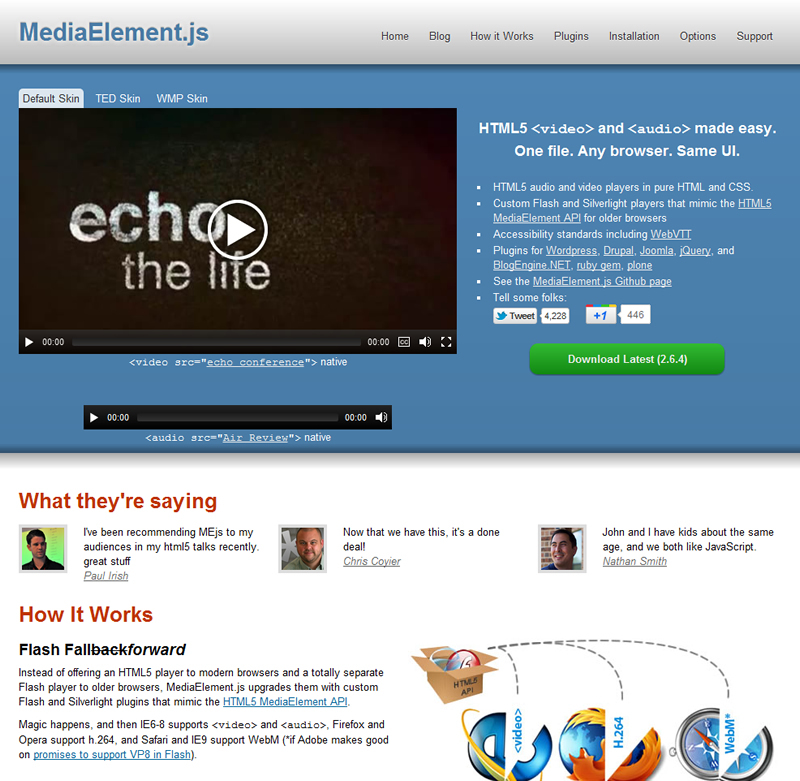 Not to be confused with the previously named mediaelement.js HTML5 video player, the J-Media Element player, or JME for short, is another HTML5 audio and video playing option. 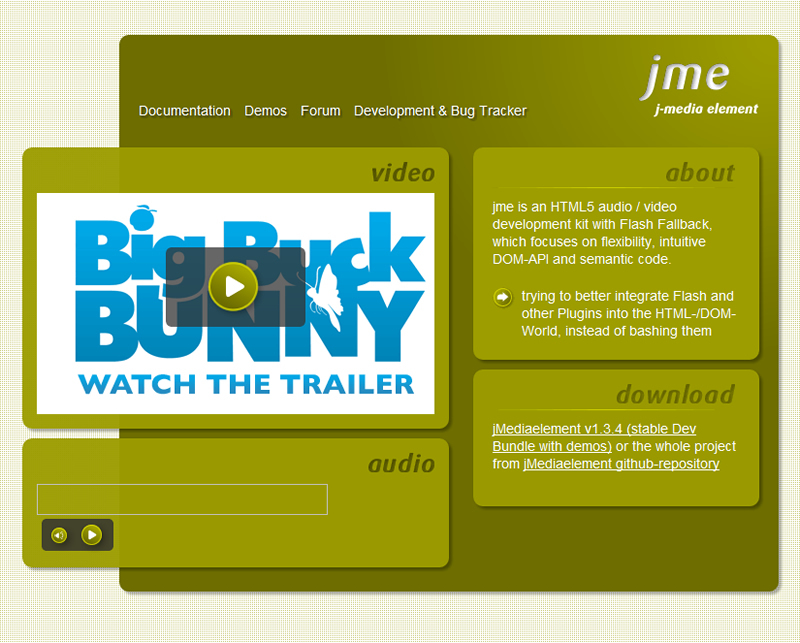 JME has a Flash fallback and the developers pride themselves on the flexibility of the player that was built with an intuitive DOM-API and semantic coding structure. It is supported on Apple mobile devices, has keyboard shortcuts, a true full screen mode, offers subtitles and is easily skinnable with CSS. 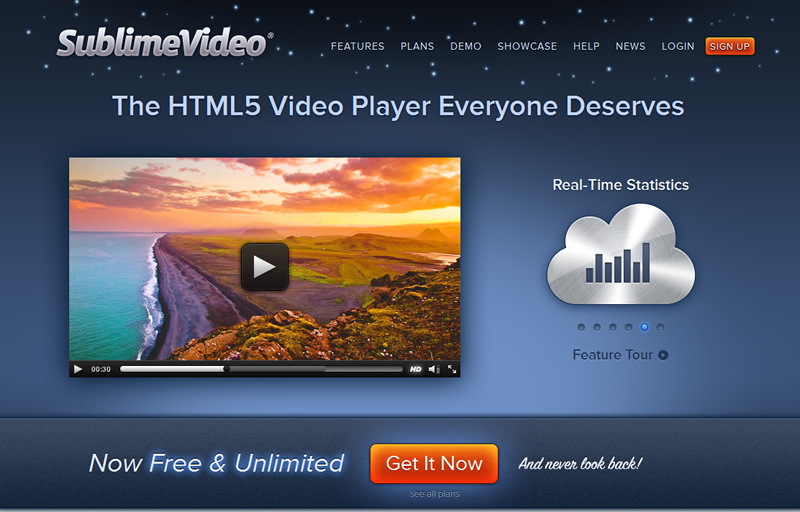 SublimeVideo is yet another HTML5 video player with a name that is rather self-explanatory. Offering the standard Flash fallback, iOS support, and a true full screen mode, SublimeVideo has a consistent user interface, whether you’re viewing from the Flash player or the HTML5 player, and is supported on any browser or device. It also allows you to switch SD-HD video sources with a single click, create playlists, and view real-time video usage stats for your site. But that’s not all, SublimeVideo is in the cloud, meaning you’ll always have the latest version. 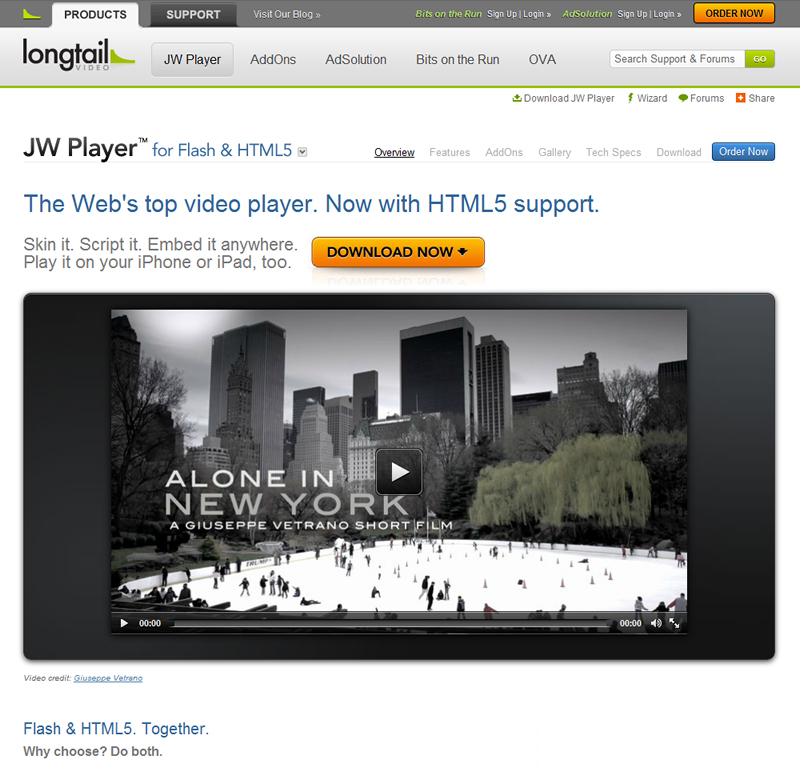 JW Player isn’t new to HTML5, it has simply evolved, adapted, and improved itself with HTML5. The developers of JW Player have been in the video player niche since 2005, adapting to all of the trends, interfaces, and viewer demands and still maintaining the role of one of the web’s leading video players. It is compatible with all major browsers and mobile platforms, is skinnable and offers a Flash fallback. It also features plugins for keyboard shortcut controls and subtitles, and it comes as a plugin for WordPress and Drupal. What can’t Dark Onyx do? 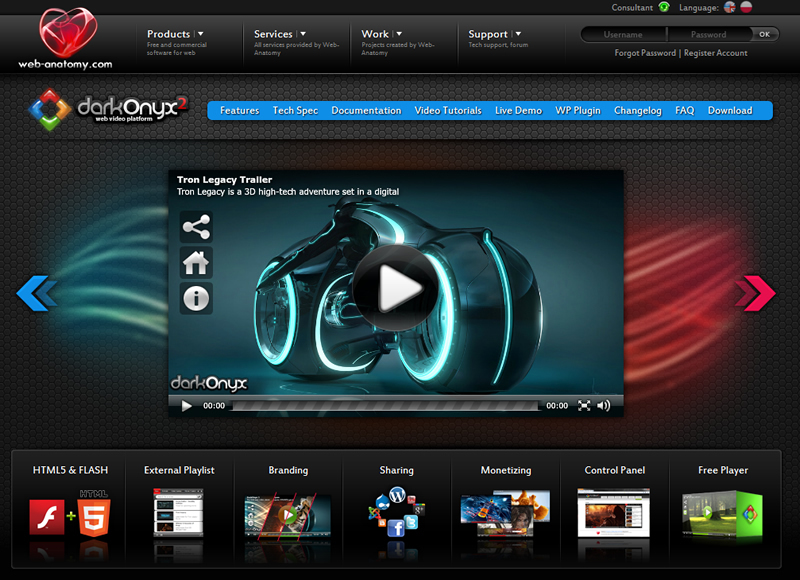 This is not just a video player, this is an entire video platform designed for any size of business or organization. Dark Onyx allows you to easily customize the appearance of the player, share videos across multiple social media platforms with an easy mouse click, create external playlists, and create your own ads. The player is offered in four different versions, including a free one. All commercial versions allow you to remove the DarkOnyx watermark, or replace it with your own, and includes direct tech-support. 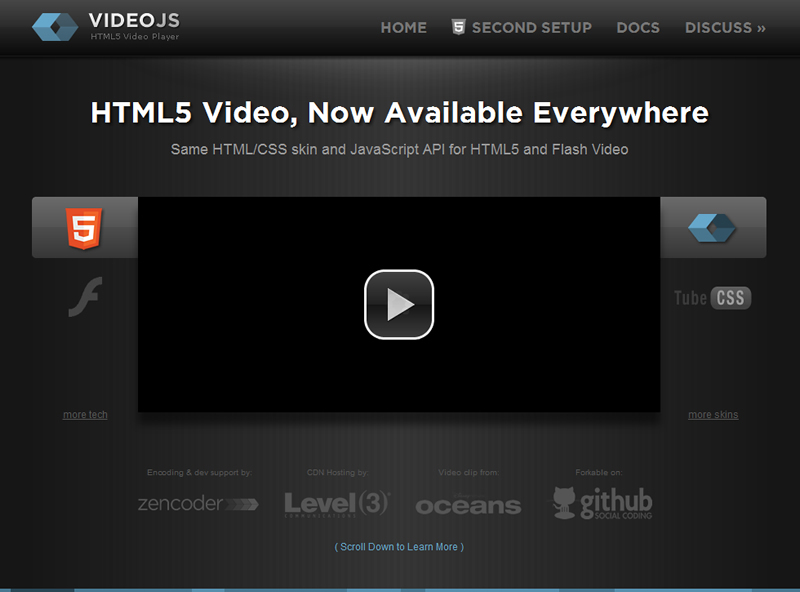 FlareVideo is an open source HTML5 video player with Flash fallback and is completely free for commercial use. The player is easily skinnable with CSS, allowing itself to work perfectly with any site design or color combination. FlareVideo keeps video playback simple and file sizes minimal by offering only the basic features. like a full screen mode and keyboard shortcuts. How could we not include YouTube? The beauty of YouTube is that it is just like SublimeVideo, it’s an online based video player that updates itself with bug fixes, upgrades, and everything else so that you don’t have to worry about it. 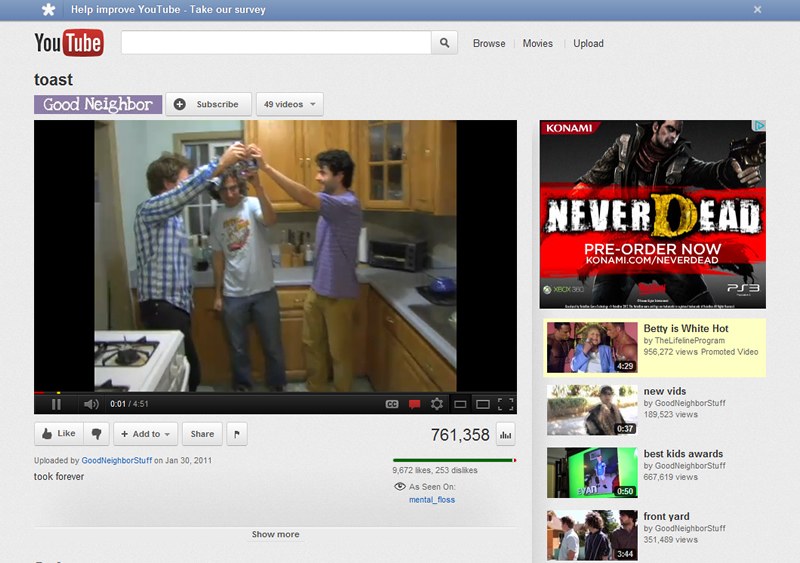 What’s even better about YouTube, other than it’s ridiculously easy to use, is that they offer revenue sharing. If your video starts to rack up the views, YouTube will start paying you.